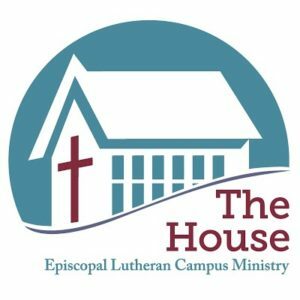 The House is the Episcopal Lutheran Campus Ministry at the University of Mary Washington. We gather on Tuesday evenings at our campus ministry house, which is located at 820 College Avenue at 5 pm for food, fellowship, and worship. On Thursdays we meet at Blackstone College located in Eagle Village for coffee hour at a time to be decided. In addition to regular week activities, The House organizes an annual Fall Retreat and Spring Break trip. The House is a place to meet and hangout with friends, study, pray, grab a snack, worship and relax. All students are welcome at The House! The chaplain for The House is Rev. Anne A. Jones. If you have questions about The House or just want to meet and talk, please email Pastor Anne at anne@christ-lutheran-church.org or call 540-373-5087. The Campus Ministry Committee focuses on meeting the spiritual needs of students attending the University of Mary Washington, Christ Lutheran Church members attending other colleges, and administration of the Christ Lutheran Church Scholarship Fund. A special welcome to all college freshman and returning college students! The Campus Ministry of Christ Lutheran hopes to support you during your college career by offering homemade meals on Tuesday evenings, a friendly worshiping community, a safe place to talk with Pastor Carbaugh or Pastor Anne, and some opportunities for involvement with the larger community. If you are new to Fredericksburg or Christ Lutheran and would like to share your contact information with the church, please email Pastor Anne and share your name and the college you attend. The Campus Ministry also supports college students who are members of Christ Lutheran and have gone away for college by sending notes and care packages. If you are a member of Christ Lutheran and currently away at college, please email Pastor Anne with your campus mailing address and your expected year of graduation, so we can support you during your time away. CLC Members join us in welcoming the students from UMW! Please, make them feel at home far away from home at Christ Lutheran Church.We feel that Campus Ministry is a very important part of reaching out into our community and welcoming young people in Christ’s name. If you want to serve with the campus ministry committee, there are lots of opportunities! From providing a home-cooked meal on Tuesday evenings, building a relationship with a student through the adopt-a-student program, writing notes to students, and preparing care packages, there are many ways to serve. Most importantly, welcome the students at worship and hold them in your prayers. For more information, please contact Karen Defreese, the Campus Ministry Chairperson. Campus addresses needed – We need the mailing addresses of our CLC students who are away at school so that we can stay in touch and send care packages from our CLC family. Please give or email school addresses to Pastor Carbaugh, Pastor Anne, or the church office. In March, 5 students got to know Philadelphia and it’s people. We cooked at shelters, brought food to men on the streets and learned about the challenges that some in the city face – poverty, violence, and substance abuse. We spent time in conversation and many times in prayer for the needs of the city and our world. The experience that impacted us most deeply, though, was our time spent with the people of New Jerusalem, a community of recovering drug addicts. We were able to spend 4 days with them, joining them for Bible study on 1 Samuel and hearing the stories of where they’d been and how God had held them up. We were awed by their hospitality to us, a bunch of strangers. We came back not only with a deep love for the people of New Jerusalem, but also with a renewed passion to be involved in our own small city of Fredericksburg.